The Hallmark Channel movie Marrying Mr. Darcy will debut on June 2 at 9 PM. 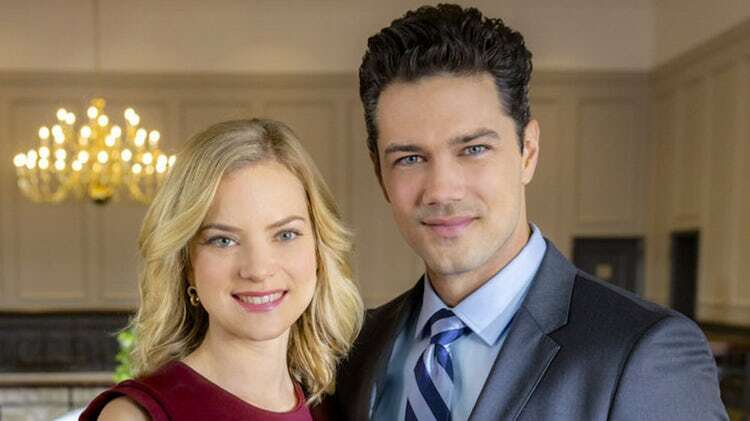 Some six months after they first crossed verbal swords at a Washington D.C. dog show, schoolteacher Elizabeth Scott (Cindy Busby) and businessman/philanthropist Donovan Darcy (Ryan Paevey) are blissfully in love and newly engaged. With Donovan in agreement, she looks forward to planning a small autumn wedding with the help of her mother and sister. After Donovan’s previously scornful Aunt Violet (Frances Fisher) makes a heartfelt apology for her past behavior, Elizabeth is glad to include her in the planning process. As the weeks fly by and the arrangements for the wedding grow more elaborate, Elizabeth feels the burden of expectations she will face as Mrs. Darcy. Worse still, Donovan himself is wrapped up in his work and increasingly unavailable to her. Reminded yet again of their tremendous differences in background and temperament, Elizabeth can’t help but ask herself: should she marry Mr. Darcy?